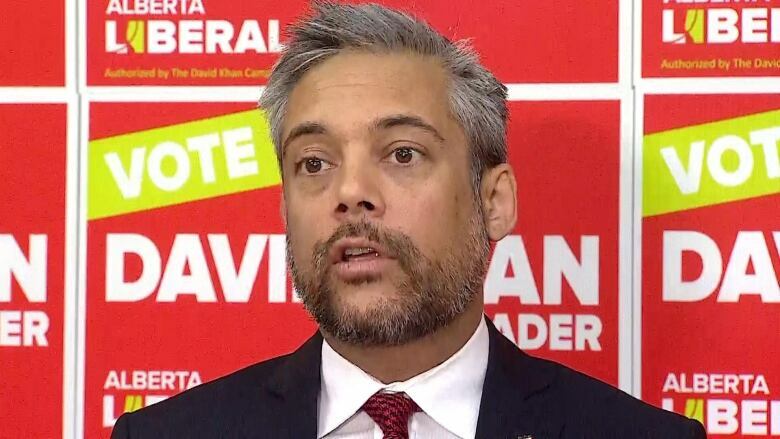 Alberta Liberal Leader David Khan said if elected, his party would work to make dental care in the province more affordable. "We know that dental health is critical to your overall health," said Khan while announcing the party's affordable dental-care platform on Monday in Calgary. "We've got to get dental fees down for Albertans." Khan said Albertans pay the highest dental fees in the country and have "spotty" coverage. Providing $50 million in funding for affordable, community-based dental care. Pressuring the federal government to fund universal dental care. Requiring dentists to discuss prices up front. Requiring dentists to publicly list their standard prices in comparison to the dental fee guide. Making the dental fee guide mandatory. Lifting restrictions on dentists offering promotions for groups like seniors and children. Khan said that while the NDP introduced a dental fee guide, they didn't go far enough by not making it mandatory. "The dental fee guide is really quite disappointing for Albertans," he said. He added that the long-term goal would be to get universal dental coverage, like the U.K.'s National Health Service has. In 2016, a review found Alberta's dental fees were the highest in Canada, and the provincial government established a fee guide for the first time in 20 years. At the time, Health Minister Sarah Hoffman said it would curtail costs by offering patients a chance to compare prices. Currently, dentists in Alberta are free to establish their own rates.